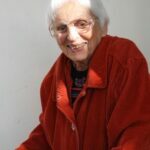 WATER extends sincere sympathy to the Grail, both national and international, to her family and friends on the death of beloved Janet Kalven at the age of 100. We join a huge chorus of those who sing alleluias for her life and work, her commitment and her friendship. Long may her memory inspire us to work for justice and to love well. 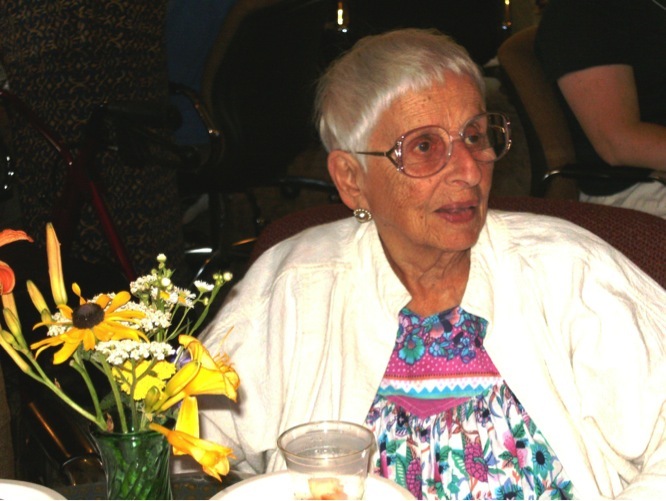 Janet was born on May 21,1913, of German/Russian Jewish parents who lived comfortably in Chicago. She and her brother Harry experienced city club and country club life that they both found tiresome. Harry went on to a distinguished career in law, while Janet became an equally distinguished educator and a member of the Grail. Janet studied the “Great Books” at the University of Chicago where she was later a teaching assistant in the famous program run by Mortimer Adler and Robert Hutchins. Her intellectual work propelled this reason-oriented woman to convert to Catholicism in the days of Jacques Maritain. Through a liberal Catholic campus organization, she met the Grail in 1940, and eventually decided that life in a women’s community, though not as a nun, appealed to her. In a memoir that doubles as a history, Janet wrote the story of the Grail in the United States with the expressive title Women Breaking Boundaries: A Grail Journey, 1940-1995. She describes her own exciting opportunities of travel and work abroad, sharing with Grail members around the world, running educational programs, and developing land and building projects. She chronicles the Grail’s story from a Catholic women’s group founded in the Netherlands by Jacques van Ginnekin, a Jesuit priest, to an international, ecumenical women’s community that is “committed to spiritual search, social transformation, global solidarity, ecological sustainability, and the release of women’s creative energy throughout the world…bonded in action, solidarity, and faith, working in 17 countries, as individuals and Grail groups, interconnecting regionally, nationally and internationally” (http://www.grail-us.org/). It is a story well worth reading, a group well worth knowing. The Grail, its U.S. headquarters Grailville, and Janet have played a vital role in the history of women and religion. In 1972, she was part of the organizing group for the conference “Women Exploring Theology” at Grailville, which was a springboard for feminist work in religion. Scholars and activists gathered in Loveland, Ohio, for a meeting that participants including Judith Plaskow (who wrote her famous myth “The Coming of Lilith” there) and Elisabeth Schüssler Fiorenza cite as pivotal in their own lives and formative for the field. Janet’s creative efforts and commitment to self-directed forms of education brought college women together for Semester at Grailville in the early 1970s. Janet created the space for Seminary Quarter at Grailville (1974-1978). Dozens of young women who were ministers and theologians in training spent six weeks in a living/learning community of feminist pedagogy with leading feminists in the field and the active accompaniment of the Grail women. It was in part because of the inspiration of the SQAG experience that Marie Fortune set up the FaithTrust Institute, Jeannette Stokes built the Center for Women and Ministry in the South, and Mary E. Hunt co-founded WATER, the Women’s Alliance for Theology, Ethics and Ritual. Women were empowered in those programs to study, speak out, create, manage, and expect the world of one another and ourselves. It took. In 1982, Janet and Mary Imelda Buckley, a Grail member who taught at St. John’s University, hosted “Women’s Spirit Bonding,” a landmark conference for “136 women, two very small girls, and one man for a week of feminist theologizing” at Grailville. Another hundred people were turned away for lack of space. It was a meeting characterized by diversity unto conflict, collaboration and new insights, hard questions over lovely meals, eclectic liturgies and a shared recognition that we had to learn to work together if we were to bring about justice in the world. No one who attended was ever the same again. Janet appreciated her various faith traditions. She grew from “religious certainty to religious search” as she put it. We are, she claimed, “fast women in a slow church” as the Roman Catholic institution fell woefully behind the spiritual richness of its own women. The Grail was noted for its religious art, liturgical innovation, and strong social justice commitment despite the kyriarchy’s recalcitrance. 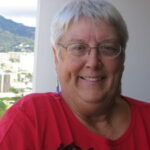 Janet was active through the Grail Women’s Task Force in the Women-Church movement, finding like-minded, like-hearted colleagues there with whom to expand her community. In later years, Janet moved from her longtime house at Grailville to a converted school building in Cincinnati which she and other creative friends helped rehab into affordable housing for women. She took out her first mortgage well into her 80s for a classroom turned into a comfortable condo. Janet was committed to living in community so she loved that the school’s corridors were converted into common spaces. She remained active at Grailville on land use even after she moved to the city. Nearly 101, Janet died peacefully in Milford, Ohio near Cincinnati, on April 24, 2013. To say that hers was a life well lived is to understate the importance of a veritable force of nature, a dear friend, a skilled educator, a generous and wise mentor. May she rest in the peace that she worked for in this world, confident that her friends and colleagues carry on in her style and spirit. The Grail invites all friends to celebrate Janet’s entry into new life on Sunday, June 1st, 2 p.m., in the Grailville Oratory, 932 O’Bannonville Road, Loveland, Ohio 45140. Janet requested a Mass of Christian Burial that will be preceded by a short “Circle of Remembrance.” Burial will follow in the Grailville Cemetery. See Mary E. Hunt’s personal remembrance of Janet at the FIR Blog. We are an international community of justice-seeking people who promote the use of feminist religious values to make social change. We invite you to partner with us to continue making waves in feminism, religions, and societies! As a 501(c)(3), WATER relies on an amazing team of allies to support us financially. If you believe in the work of feminist theology, ethics and ritual please consider making a donation today.